Smarter recurring billing and subscription management! Recurring accounting and billing can be automated to ease repetitive tasks. Automatic notifications for payment dates and billing cycles keeps you on track at all times. 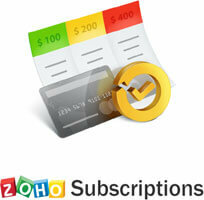 Zoho Subscriptions being pre integrated with ZOHO books enhances the experience.